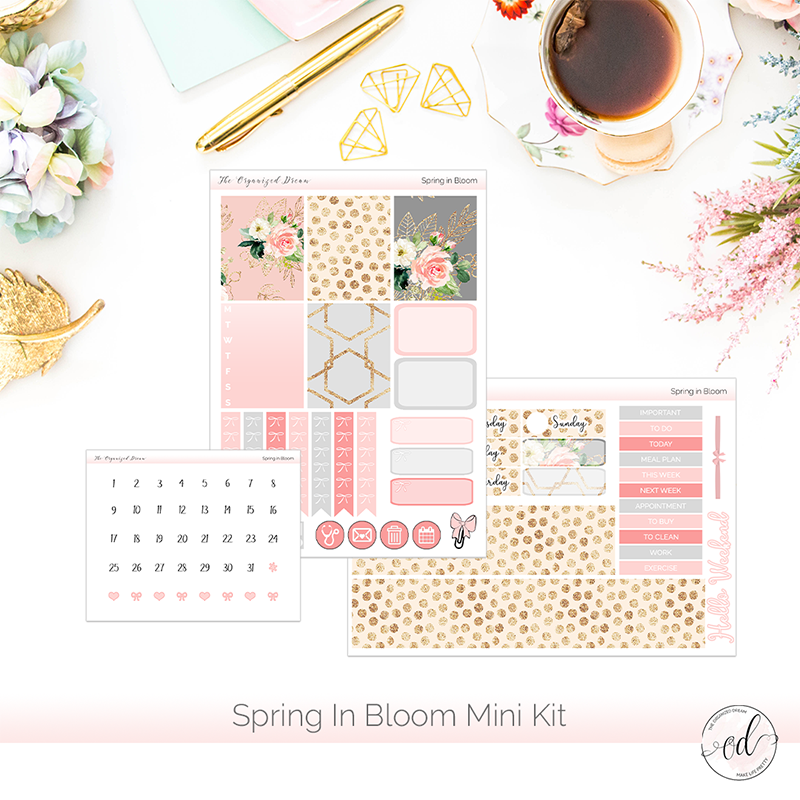 If you're looking for a fun sticker kit for your planner, you'll want to check out this spring-inspired kit. There's loads of stickers in this mini kit that's perfect for everyday planning! So I was sitting here over the weekend sick as a dog wondering what I could add to the shop that was fun and spring oriented. I thought that adding a line of mini kits would be great. This sticker kit is the first in, what I hope, to be one of many that I offer. While they are sized to fit an Erin Condren Life Planner, they can be used in virtually any planner with minor adjustments! I used similar kits in my Carpe Diem A5 planner last year and they worked great! In this kit, there are three sheets. 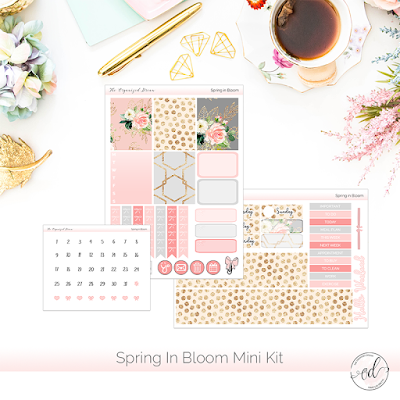 The first is the decor sheet that features decorative full boxes, half boxes, event labels, icons, day-of-the-week full box, habit tracker and bow checkbox flags. The second sheet features decorative washi strips that can easily be added to the bottom or top of pages for a decorative touch as well as date covers, event headers, a weekend banner and fun bow header as well. The third page features small decorative heart and bow icons as well as date dots for each day of the month. This digital sticker kit is reasonably priced at $2.50 and will be available immediately after payment! Shop this kit and more in our Etsy shop!